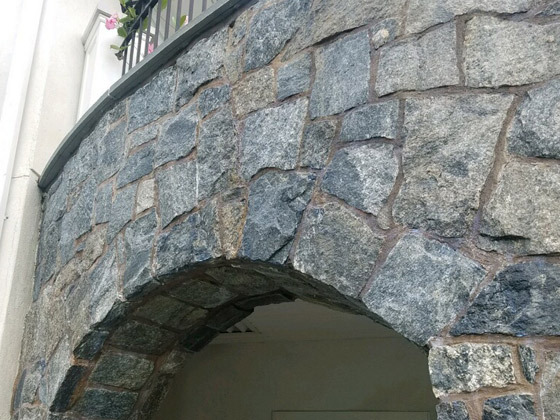 This is what the stone facade looked like when we first arrived on the job site before we did any work. Notice the chalky, patchy discolored appearance of the stone. Our cleaning and restoration services made a dramatic difference on this stone facade building exterior. 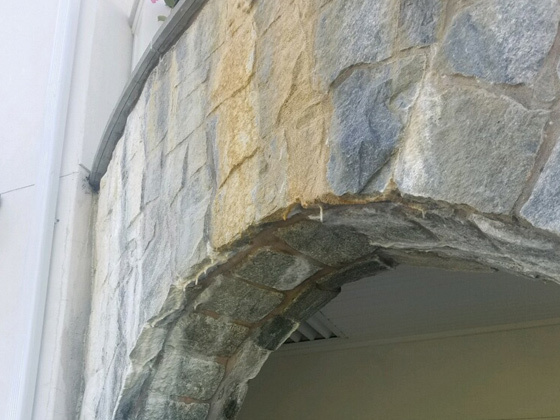 Here is a closer look at the deteriorated condition of the stone facade before our services. Here is the same section of stone, after our cleaning and restoration services. 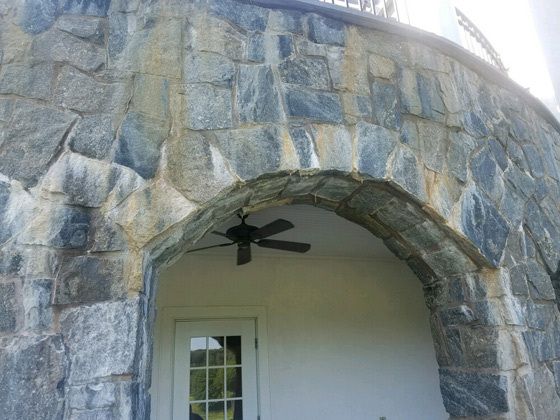 DHI Construction Services contacted Hi-Tech Floor and Surface Care to clean the exterior stone façade at the prestigious Scarsdale Golf Club in Scarsdale, NY. Exposure to the elements and run off from the other exterior surfaces left the stone streaked, worn, and dirty looking. First, we masked and protected the surfaces surrounding our work area. Then, we saturated the stone with a powerful, professional solution to dissolve the calcium deposits and grime. After allowing ample dwell time, we hand cleaned the stone with a firm bristled brush and rinsed it thoroughly. Our cleaning and refinishing process made a world of difference, as you can see for yourself. The property manager was very pleased with the outcome. 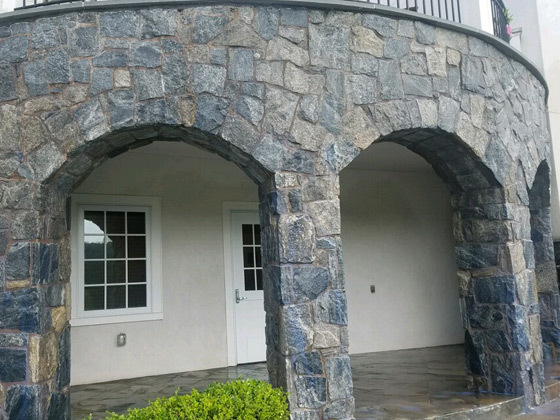 Call (914) 423-4600 or contact us online for a FREE estimate on stone facade cleaning and restoration or any of our other services throughout the Scarsdale area.